The congress will take place in Amsterdam, The Netherlands, between 9th and 11th March 2016. Registration fees ‘..
Worldwide Event Partners USA is a full service tour operator involved in the MICE sector at international level. With over 12 years experience in this market with our sister company, Eurolink Tours Ltd UK, we are able to offer our clients an exceptional level of service and commitment. 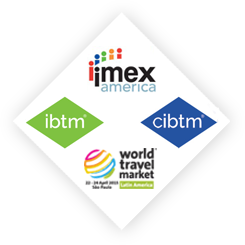 Our aim is to increase U.S. attendance to all international medical meetings and trade fairs. We offer our customers a complete package of high-quality services from direct hotel allocations to ground services worldwide. Our U.S. office provides all assistance to customers from North and South America as well as from Asian countries. Our customers benefit from this assistance at whatever time they need it – 24 hours a day, 7 days a week. and always be up to date. Worldwide Event Partners USA is a full service tour operator involved in the MICE sector at international level. With over 12 years experience in this market, we are hotel brokers with direct allotments for major medical events and trade fairs worldwide.